The original cast recording of new musical The Wind In The Willows, with book by Julian Fellowes, music by George Stiles and lyrics by Anthony Drewe, has been announced. The cast of the West End musical, which begins previews on 16 June prior to an official opening on 29 June at the London Palladium, headed to the studio earlier this month to record the 20-track album. The album is available for pre-order today via Amazon, and will be released by Sony Masterworks Broadway mid-June (catalogue number: 88985447482). 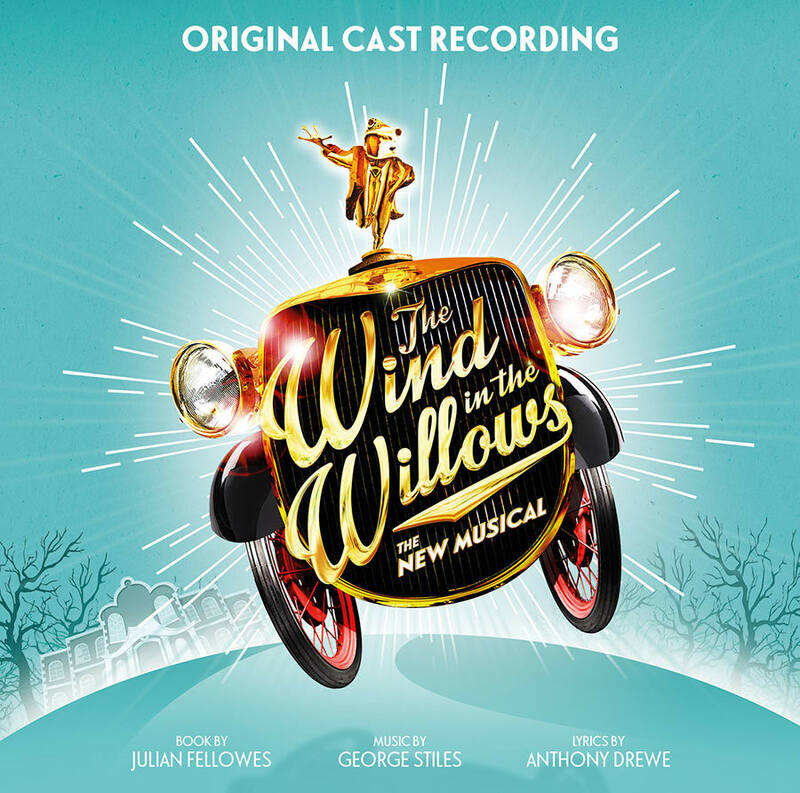 With music and lyrics by Olivier Award-winners George Stiles and Anthony Drewe, the album features the original West End cast of The Wind In The Willows, accompanied by a fourteen-piece band. The album is produced by George Stiles and Anthony Drewe and co-produced by Simon Lee. Tris Penna is the executive producer. The original London cast is led by actor, comedian and presenter Rufus Hound as the amazing ‘Mr Toad’ with West End stars Simon Lipkin as ‘Rat’ and Craig Mather as ‘Mole’; EastEnders actor Neil McDermott as ‘Chief Weasel’; Coronation Street and Boy Meets Girl star Denise Welch as ‘Mrs Otter’ and West End legend Gary Wilmot as ‘Badger. Also included are Chris Aukett, Joel Baylis, Jenna Boyd, Abigail Brodie, Abigail Climer, Jorell Coiffic-Kamall, Nicole Deon, Emilie du Leslay, Joshua Gannon, James Gant, Evan James, Michael Larcombe, Bethany Linsdell, Ryan Pidgen, Adam Vaughan, Georgie Westall and Natalie Woods. The cast album also features Dylan Mason, Patrick Sullivan and Karli Vale who recently appeared in the show’s pre-London tour. Based on Kenneth Grahame’s treasured novel which has captivated generations of readers for over a century, The Wind In The Willows has been adapted for the stage with a book by Academy Award-winning screenwriter and Downton Abbey creator Julian Fellowes. This riotous comedy follows the impulsive Mr Toad whose insatiable need for speed lands him in serious trouble. With his beloved home under threat from the notorious Chief Weasel and his gang of sinister Wild Wooders, Toad must attempt a daring escape leading to a series of misadventures and a heroic battle to recapture Toad Hall. Featuring eye-poppingly beautiful design, exuberant choreography and a gloriously British score, The Wind In The Willows brings an explosion of anarchy, humour and heart to the world-famous London Palladium. Book your tickets to the musical today!